Super-Krete® Super-Grit™ is a polymeric grit coating additive designed to prevent slippery conditions in any type of sealed finish, especially when the surface becomes wet. Super-Grit can be easily broadcast or mixed into sealer. Super-Grit can be used for interior and exterior applications, ramps and down-slopes. Unlike silica sand, Super-Grit does not sink when mixed into sealers, providing a more even appearance. 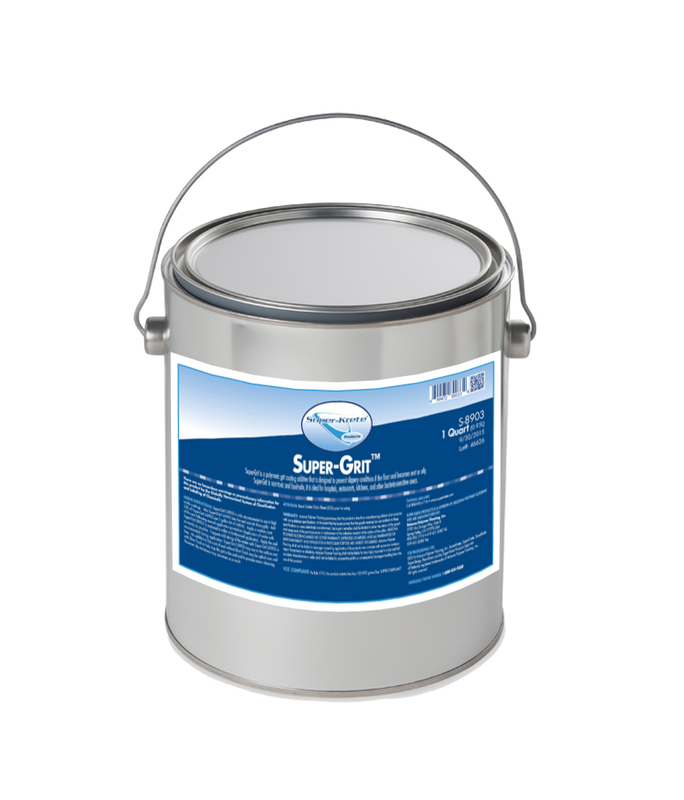 Super-Grit is clear, which will allow stained or painted surfaces to be completely visible, without loss of color, texture or definition. Mix 3-8 oz of Super-Grit to one gallon of sealer and mix mechanically for one minute to ensure proper suspension of material. An additional thin coat of sealer without Super-Grit may be applied over seal with Super-Grit to help trap the particles in the sealer and to provide ease of cleaning. If too much Super-Grit is added to the product or too much product is broadcast over the surface, discoloring or a white milky appearance may occur.